People who fill out a MasterCuts application are looking to make people look stylish. With salons across the United States, Puerto Rico, and Canada, the company aims to make everybody that walks through their doors feel welcomed. Links to apply for jobs at MasterCuts are at the bottom of the page. MasterCuts is owned by the Regis Corporation. The corporation is based out of Edina, Minnisota and had been founded in 1922. Currently Regis is the biggest hair salon company in the world, with over twenty-seven different chains spanning the globe. Every MasterCuts salon offers walk in appointments and every service is individually priced, so you can work with every single customer to do what they can afford. If a customer is interested in buying one of the many products that they have, you will work with them to find the best product for them. Currently the Regis Corporation employs over fifty thousand employees and strives to make every employee feel valued. Within MasterCuts, every store wants to make their workers feel like they belong in a family. Customers, as soon as they walk in, are supposed to be welcomed in as if they fit in and were always a part of the family, before they walk out, looking fabulous and being noticed. 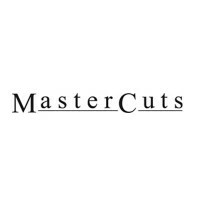 MasterCuts is owned by Regis Corporation, so if you’re interested in a corporate job, you must go there. There are several positions available at the local level across the United States, Canada, and Puerto Rico doing several things, like managing, styling hair, and selling various products. How old do you have to be to work at MasterCuts? Age requirements vary by position. As you browse MasterCuts jobs online, make sure to read all position requirements carefully because some positions need various degrees, certifications, or experiences. Those with MasterCuts careers get several benefits, including paid vacation, a 401K, and a college savings plan. Stylists get access to free tools, excluding shears. In order to promote sales, there are several sales contests throughout the year with excellent prizes. As there are several locations available across the country, people with MasterCuts jobs will maintain different hours depending on the store. Usually, salons are open by ten thirty am Monday through Friday and have completely different hours on the weekend. Closing times will also vary, going anywhere between five thirty and nine thirty. Manager – By providing staff members and stylists with the tools they need to succeed, you’ll help the business succeed and enlarge their clientele. As stylists work, you’ll make sure that they are providing the customers with the best experience that is possible. Compensation is around $45,000 a year. Stylist – You’re expected to make a name for yourself and ensure that your business grows. As needed, you’ll need to be able to do basic administrative duties. When you look at a customer, you’ll need to be able to suggest a hairstyle that works with their face and lifestyle. Compensation is around $20,000 a year. Receptionist – As the first person that a customer sees, having great customer service is key for this position. You’ll be expected to grow and do marketing for the business in order for it to grow and develop a strong customer base. Compensation is around $20,000 a year. Assistant Manager – You will focus on salon operations and making sure that the store meets and exceeds sales goals. Working mostly with administrational duties, you’ll still strive to lead and develop a strong supporting team. Compensation is around $40,000 a year. Why do you want to work for MasterCuts? This is an extremely common interview question, so you should be prepared for it. Talk about what drew you to the company, whether it was the company benefits or culture and why it’s your first choice in places to work. What experience do you have? Highlight all the relevant experience that you have. If you don’t have any, talk about what you can bring to the company and the job. Make sure to use plenty of examples to enhance and support any claims that you make. Where do you see yourself in the next few years? Your interviewer wants to know if you’re planning on staying with the company. Make sure to be realistic in your career expectations, but make sure that they know that you’re willing to take on extra responsibilities and challenges in order to move up in the company. As MasterCuts relies heavily on customer service, you may be asked this question in the form of a hypothetical situation: How would you take care of an upset customer? Make sure to be practical and realistic as you explain the steps that you would take in order to the customer’s experience around. Several positions require standing and carrying things for long periods of time, so you may be asked: Is there anything that could physically prevent you from doing your job? Be honest and explain if there’s anything that could stop you from doing your job. If there is, talk about how you won’t let it hinder you from working. How to apply for MasterCuts online: start by searching for the area and position that you’re interested in. Once you’ve done that, fill out your MasterCuts application to the best of your ability and submit it. There is no printable application for MasterCuts. Before your interview, do research on MasterCuts and the industry in order to have a list of questions prepared that you can ask. For an entry level position, this may seem excessive, but it will place you in front of the other candidates as it shows that you think ahead and believe in being prepared. Have a positive and friendly attitude when you attend your interview as it will give a positive impression and show that you’re ready to work with customers. Dress in a professional outfit for your interview, as it will be formal. If you’ve applied for a managerial position, a suit would be appropriate. Make sure to show gratitude at the opportunity to interview with MasterCuts. Afterwards, inquire about the best way to check on your hiring status as few applicants will learn if they got the job during your interview. MasterCuts will want to screen all candidates before making a final decision on who they hire. Kindercare: See our guide for careers at Kindercare. John Deere: See this page for jobs at John Deere. Case IH: See our guide for careers at Case IH. The Tutoring Center: Use the The Tutoring Center job application to apply here. Union Pacific Railroad: See this page for jobs at Union Pacific Railroad.